I write as brother, a son of Mata Sahib Kaur ji and Guru Gobind Singh ji, living in a confused time, an age of double-think and delusion. 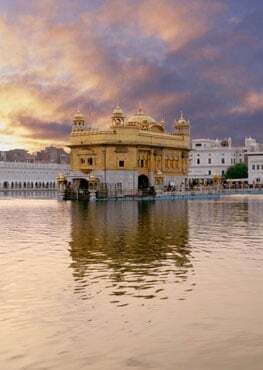 But let us, first of all, acknowledge the wonderful place Guru Nanak Dev ji has accorded womankind. In a time when women were not permitted in mosque or in temple, our great Guru accorded us gender equality. Our Tenth Master went so far as to invoke Pritham Bhagautee, the Primal Feminine Spirit, at the outset of our every prayer, lest we should fall into forgetfulness. Womankind blessed the early years of our Panth: Bebe Nanaki ji at its outset, then Mata Sulakhani ji, Mata Khivi ji, Bibi Amaro ji, Mansa Devi ji, and Mata Ganga ji among them. Bibi Bhani ji showed herself to be the most blessed of women, being by turns, the daughter of Guru Amar Das ji, the wife of Guru Ram Das ji, and the mother of Guru Arjan ji. It would seem that from the time of Bibi Bhani, the women in the Guru’s household played an increasingly important role in the spiritual advancement of the Panth. Through the wise influence of these great women, precocious young saints began to appear. Arjan Dev ji, Hargobind Sahib ji, Baba Atal ji, Har Rai ji, Har Krishan ji, and Gobind Rai ji all showed themselves to be advanced souls early in their childhood. One should not forget that education begins early in life, in the womb, so it is to the graceful mothers of these saints, these “Gurdev Mata’s,” that we owe a dept of thanks. From the time of the Sixth Master, history provides a record of many saintly women in the Guru’s immediate family. Guru Hargobind Sahib was married to Mata Nanaki ji, Mata Mahadevi ji, and Mata Damodari ji. Mata Damodari gave him a daughter, Bibi Viro ji. According to some accounts, the Seventh Master married eight wives, Mata Krishan ji the first among them, and the Tenth Master three, Mata Jito ji, Mata Sundari ji, and Mata Sahib Kaur ji. The profusion of women and girls ensured a significant female influence at the centre of Sikh dharma in its formative years. This was carried forward by Mata Sundari and Mata Sahib Kaur into the 1740s, as they continued to direct the affairs of the Panth. Those were the glory days of the Guru Panth. This is when the Adi Granth was compiled. Guru Arjan Dev sacrificed his life. Miri Piri was established. Guru Tegh Bahadur ji and Bhai Mati Das ji, Bhai Sati Das ji and Bhai Dayala ji gave their lives. Khalsa was created. The four sons of Guru Gobind Singh ji variously sacrificed their lives and Bhai Mani Singh ji too was martyred. Of course, those were difficult days too. We cannot imagine what the Tenth Master must have thought, his dear Khalsa at his side, looking into the future: a half century of persecution, followed by invasions, secularism, colonialism, partition, and generations of political dysfunction. In entrusting the legacy of Sikh Dharma to the Khalsa and, in turn, to Siri Guru Granth Sahib ji, Guru Gobind Singh managed to secure the Gurusikh spirit for the future. The Tenth Master must have known that in the struggle for survival against Mughal and Afghan armies, the brave menfolk would come to the forefront, guarding as best they could the mothers, the children, and the elderly of the Panth. Guru Gobind Singh surely must have seen that sacred Bani of Siri Guru Granth Sahib would continue to be handwritten by Singhs like Bhai Mani Singh and Baba Deep Singh ji. In a culture that was already patriarchal, it meant that the religious life too would become increasingly dominated by men. Moreover, as women and children became less central to the life of the Sikh nation, the appearance of precocious young saints would naturally become less frequent. Today, in 2018, we live with the outcome of three centuries where women have been relegated to the corners of religious life and rituals have become the main form of worship. The great publishers are Singh Brothers and Bhai Chatar Singh Jiwan Singh. What happened to “Kaur Sisters” and “Chatar Kaur Jiwan Kaur”? Clearly, male ownership of the dominant media is a handicap for Sikh women, though there are online forums such as Kaur Life and Kaurageous. Here and there, in New Mexico, U.K., and BC at least, there are yearly Gurmat camps for women. The Sikh Feminist Research Institute (SAFAR) provides a valuable independent voice, though one might wish less energy were spent mapping the dimensions of dysfunction and more invested in reinvigorating the spiritual core of the Sikh family, community and nation. It is my firm belief that the time has come for Sikh women everywhere to reclaim their rightful place at the core of the Panth as our primary spiritual teachers. This an historic time. Excuses for treating our Singhinis as weak or inferior have run their course. Today, peace abounds and many Kaurs are better educated than the Singhs in their communities. Without the full acceptance and support of our Singhinis, how are new saints to be born into the Panth? The real Singhs of the Panth must come forward now to help their sisters in this cause. Let old, tired habits be left behind. Let timeworn rules be rewritten. 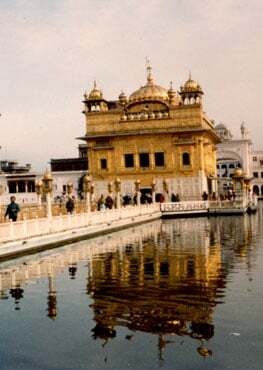 Let us hear the voices of our sisters in the Harimandir Sahib again. It has been a very long wait up till now.